Step sequencers for electronic music are both widely loved and wildly diverse - they offer a simplified approach to composition and performance that can be the basis for personal music-making. Nearly everyone has a “favorite” step sequencer they know and love, and nearly everyone also has a few ideas to improve upon them. Gregory is a brilliant communicator and his tutorials are always super clear and accessible, and have been invaluable over the years to both us and the wider Max community. 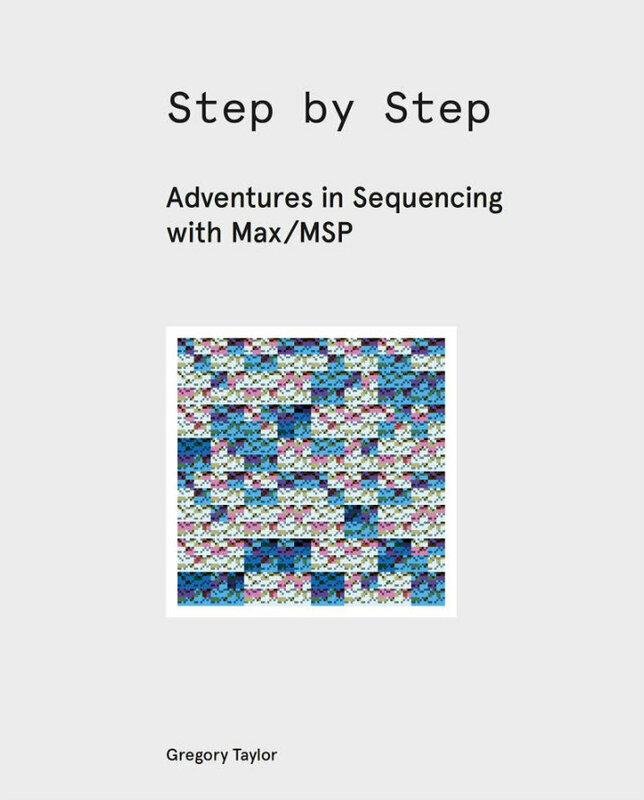 Many of the techniques explored here will be useful to anyone using Live, M4L, or just interested in expanding their Max sequencing capabilities. Most instructional books, regardless of topic, either begin at the very beginning or else explore ultra-narrow topics at the far fringes of expertise. Gregory Taylor’s Step By Step elegantly (and seemingly effortlessly) goes where few books dare to: the “intermediate” level (which is where almost everyone actually is). The book is a step-by-step breakdown of some of Gregory’s excellent Max patches (which are included) that demystifies and humanizes the process, driving home the key lesson that “programming in Max is always about being unafraid of simple solutions.” If you have even a basic grasp of Max patching, this book will help solidify the hazy concepts, gently introduce some new ones, and tie lots of loose ends together into results that are musical, inspiring, practical, and fun. Highly recommended! Many technical books show how to work a particular software environment. Gregory’s book shows how you can work with the software. 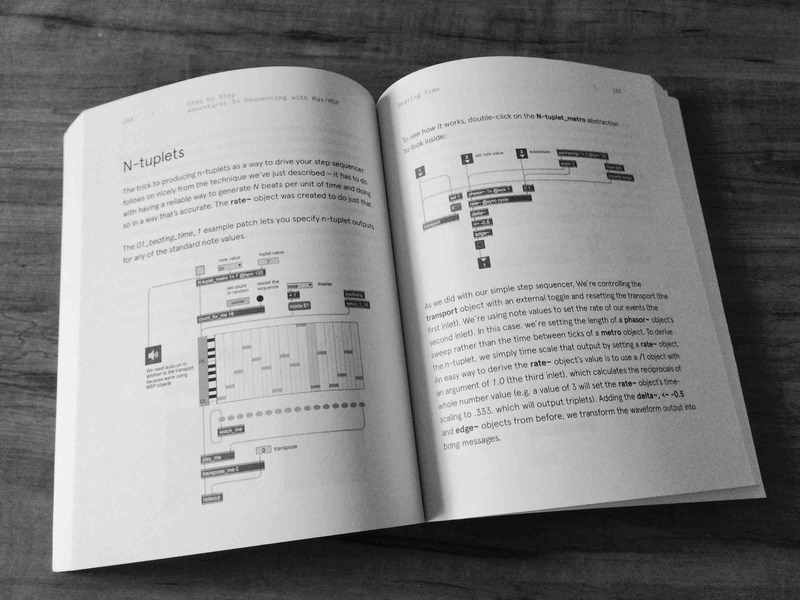 The true joy of this book is experiencing how Gregory’s creative mind journeys through the use of Max/MSP. The book does function as an amazing technical resource, too. The discussion of the amxd~ and vst~ objects alone are worth the price of admission. He also explores some of the most ingenious uses of the counter object that I have seen. By the end of the book you will have journeyed through a set of amazing patches that will surely bolster your Max/MSP toolkit, and — more importantly — you will have spent some quality time watching how an inventive master of the system operates.